In 2017, some major companies are sued because their websites were not ADA compliant. Read the story fro the link below. How to make a visual impaired proof website. First of all, a website consists of a different kind of data… text, graphic, program, code, etc. We hope everybody sees the same thing and access to the same information. But the truth is different. Visually impaired people have different sights when they view your website. They might be color blind, have some blur visions, and a completely blind. 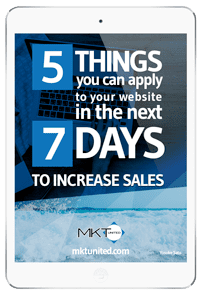 To provide the proper information for these people with challenges, there are 5 checkpoints you might want to implement to your website. A visually impaired person might use text reader. The reader, s special software, scan text data in your website and read it to him or her. If the site doesn’t have text data, he or she might not get any information from your site. Make sure your website provides ample text data. Often web designers overlook the importance of text data and prioritize the visual aspect of the website way too high. Sure, the website might look cooler when you launch. But, do you want to feel frozen when you receive a phone call from a lawyer?When you hire a web designer and web developer, make sure they use as much as texts to show your information on your website. If they can’t, follow the check checkpoint as well. Place proper ALT text on your non-text data. In some degree of web design, it is difficult to avoid using graphics and photographs to provide your professional impression to the world. How do you use the text for this case? Don’t sweat. You can use alt text.what’s alt text? alt text is an alternative text data in case your image cannot be displayed on the website. It is a description of the image.Providing alt text is vital to your website. If you place alt text on your images and other non-text data, you can not only make the website more ADA friendly, but also SEO friendly. Basically, you can hit two birds with one stone. TIPS: Put the essential information in your alt text first. You don’t need to describe everything. Make sure graphic links have descriptive alt text. Sometimes, you will see a button on a website which is a graphic button not a text one. If you are not s graphic designer, you might not be able to see the difference. But if you find one on your website, make sure to add an appropriate text description to the graphic button. If a visually impaired person clicks a button and it didn’t say “buy now” in readable text, he or she might think this is a trick. That’s not a good impression to give. Keep your graphic and artwork in good contrast. Visually impaired people don’t mean that they are entirely blind. Many people still see things but some people are color blind and some have blur visions. Make sure your website provides essential information in clear and good color contrast. View your website without color, can you still put it together well? View your website without graphics. Add alt text to your graphic. Don’t use similar color next to each other. Don’t use a java script animation for critical information such as description of the site, business hours and so on.